Your e-commerce sales can reach new heights during the holidays if you properly manage your holiday logistics. Fortunately, there are many steps you can take to keep your sales flowing faster than your eggnog while maintaining the highest level of customer satisfaction. 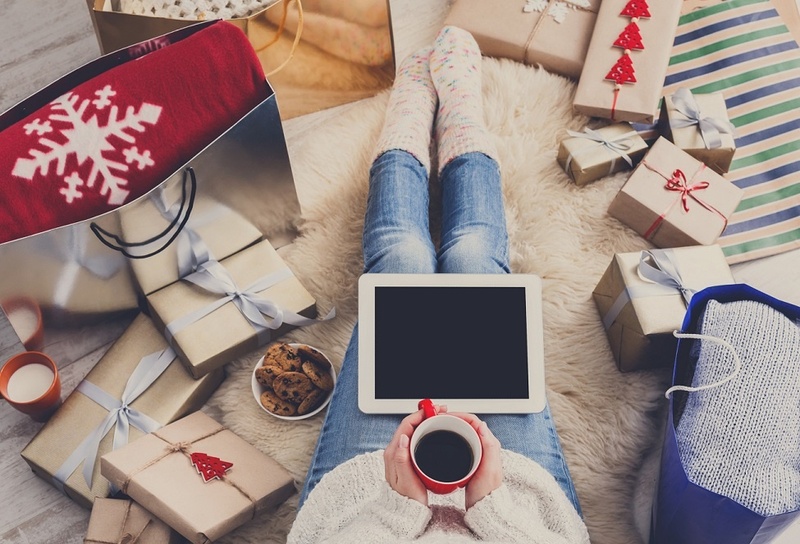 Below are 12 tips to help you optimize e-commerce success during the holiday season. Continued communication is key. If promotion dates change or there is a delay in product arriving, contact your distribution center as soon as possible. 2) Set expectations for your customers. Make sure that customers are aware of estimated delivery dates and shipping fees that correspond to each mode of shipping (overnight shipping, 2-day air, standard ground, and etc.). Let your customers know in advance that shipping delays are possible (it is the busiest shipping time of the year), and encourage them to place their orders well in advance of the holiday rush. Train your customer service team thoroughly on properly communicating delays to customers to ensure consistency across your company. 4) Prepare your inventory. Ensuring that you have sufficient stock to avoid backorders is critical during the holidays when customers demand timely deliveries. Preparing your inventory begins with a review of your sales data from the previous year to generate sales projections. You can also set up reorder points to help prevent backorders from occurring. For more tips on preparing your inventory for the holiday season, check out our blog Inventory Management Strategies to Prepare for the Holiday Season. 5) Make sure you and/or your fulfillment partner are sufficiently staffed to handle a spike in orders. Insufficient staffing during the holidays can derail your company's plans to prosper during the holidays. Review your staffing plan from the previous year at least six weeks before the start of the holiday season to note any shortcomings that need to be addressed. As addresses in tip one, if you outsource your order fulfillment, communication with your 3PL partner is vital to ensure proper staffing to handle expected order volumes. Step one: Notify the customer about the backorder immediately. Step two: Provide the date that the item will be available. Step three: Consider offering a discount on a comparable item that you have in stock. 8) Include a special holiday gift with customer orders over a specified amount. This strategy accomplishes two goals: It rewards key customers and helps you move inventory before the end of the calendar year. Ideally, select small, low-cost items that are in abundant supply, as they are inexpensive to ship and can easily be coupled with another product. 9) Make sure you and your staff are accessible. Accessibility plays a critical role in the overall success of an e-commerce business, especially during the holidays. Make sure you have a plan in place to handle phone calls, e-mail inquiries, customer complaints, and emergencies. Your customer service contact information should be clearly posted on your website. 10) Generate real-time inventory reports. Real-time reports are a staple for e-commerce companies that consistently thrive during the holiday season. As the holidays approach, you should plan to run inventory reports on a repeated basis because your inventory will start fluctuating with greater frequency. This measure will help you keep tabs on items that are dwindling in supply and identify slow-moving items that can be featured in last minute special offers. Check out our blog How to Move Slow Selling Inventory during the Holiday Season for more ideas. 12) Update your website with key holiday order details. Your website is one of your strongest modes of communicating critical information to your customers. Make sure that you post your promotions along with key information about shipping and delivery schedules in a highly visible location for easy viewing by new and existing customers. Do not wait until the start of the holiday season to map out a plan for e-commerce success. By following the strategies above, you can increase your sales and optimize customer satisfaction. We invite you to contact us for additional strategies to help you capitalize on the holiday shopping rush. We look forward to hearing from you!